We took a well overdue look around the dwell furniture store in London’s Tottenham Court Road this week and were struck by how many of their stylish, cost effective modern furniture pieces – from sofas to chairs and beds to home accessories – reminded us of pieces from some of our favourite film and TV sets. 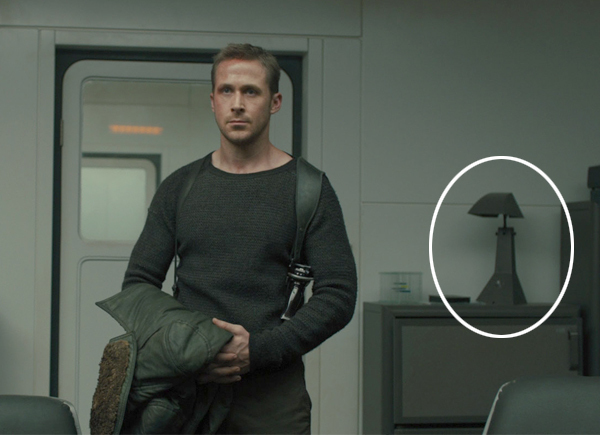 From Batman to Big Little Lies, from Alice in Wonderland to Blade Runner, we take interior inspiration from set decoration on screen and show you how to get the look without it costing the earth. 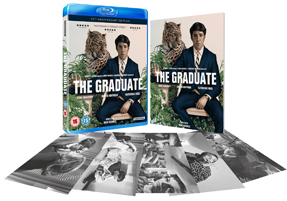 We are seduced by the set decoration of The Graduate every time we see it. Hitting cinemas for the first time in 1967, it had the kind of cultural impact that comes along once in a generation. Based on the novel by Charles Webb, this film captured the mood of disaffected youth beneath the laid-back exterior of 1960s California. It earned Mike Nichols a Best Director Oscar, introduced the music of Simon & Garfunkel to a wider audience and featured one of the most famous seductions in movie history. Benjamin Braddock (Dustin Hoffman), having just finished college is lost in a sea of confusion as he wonders what to do with his life. He returns to his parents luxurious home, where he idles away the summer mostly brooding in silence. He is rescued from the boredom when he is seduced into a clandestine affair with a middle-aged married friend of his parents, Mrs Robinson. Mrs Robinson’s Beverly Hills home encapsulates a 1960s upper middle class, decadent style. The house into which Ben is lured, is brimming with fabulous lavish lamps, decorative bottles of booze and huge tropical plants. 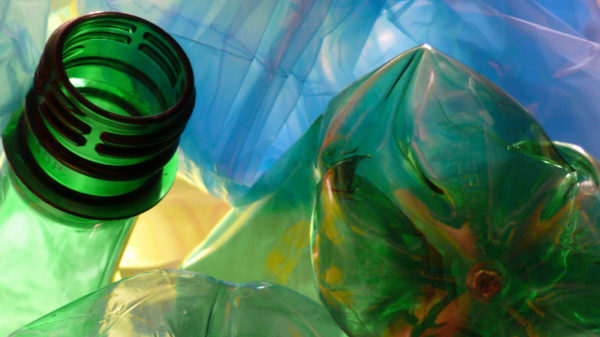 It is a fantastic resource for interior design inspiration. Mrs Robinson’s retro chic bar is a Film and Furniture favourite and exemplifies 60s luxury lifestyle. Separated by walls of glass with greenery beyond, the effect of the white bar stools and black leather armchairs is as aspirational today as it was then. The monochrome combination set against a backdrop of lush green plants is a look we can take much influence from. 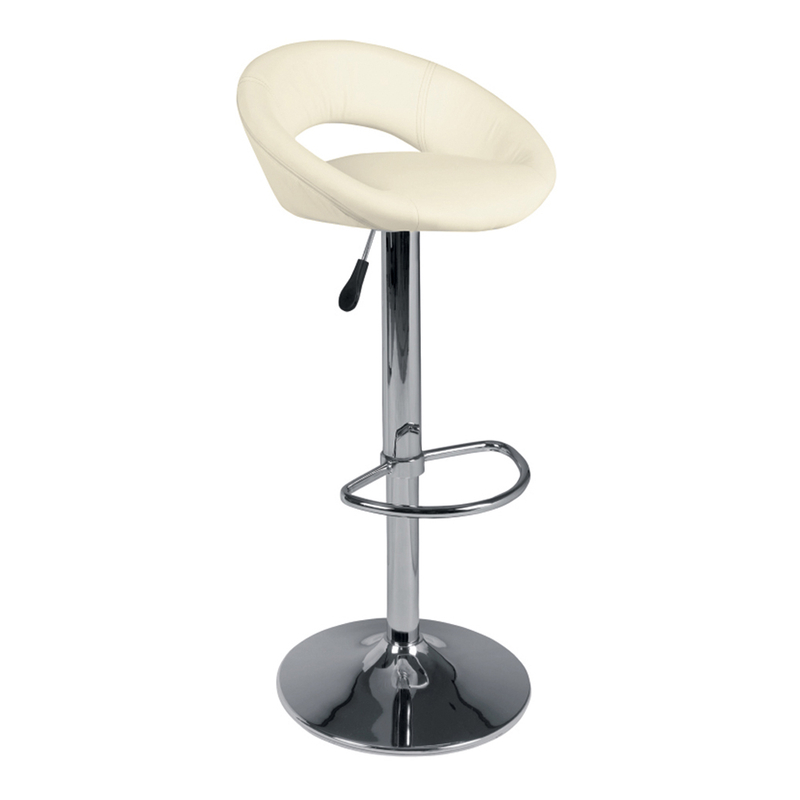 These height adjustable bar stools in cream are £149 from dwell (also available in grey and black). 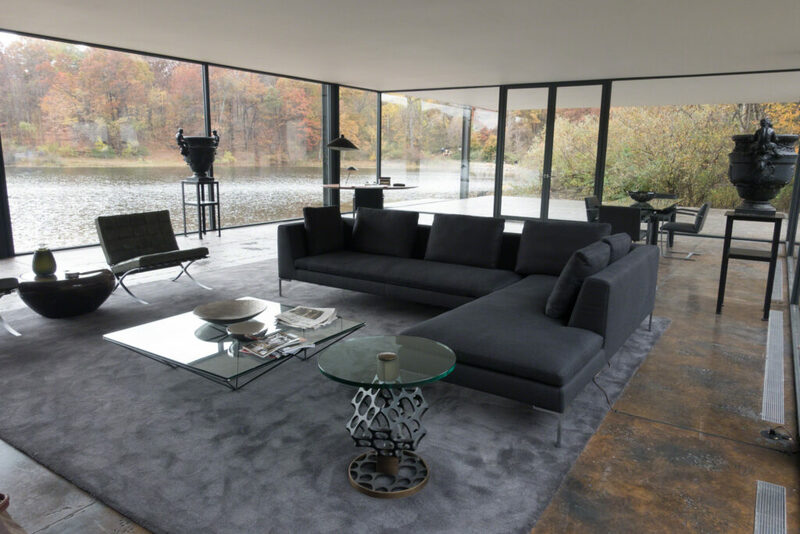 Bruce Wayne’s lake side house in Batman v Superman: Dawn Of Justice. Batman v Superman: Dawn of Justice (2016) spurred not only a battle between two DC Comics superheroes but also between critics and fans. Critics’ reviews of the film were predominantly poor but fans and movie goers were not put off. One indisputable winner in our eyes is Bruce Wayne’s new lake side house. Wayne Manor has been burned to the ground, forcing Bruce to live in the nearby lake house. This house, which reveals a dark, muted palette of black, grey, wood and stone, together with several furniture classics, is perfectly befitting of an older, sophisticated Batman. The house and it’s contents are a homage to the famous modernist masterpiece Farnsworth House designed and built by Mies van der Rohe between 1945 and 1951. Key to this space, as with our own living rooms, is the sofa. It’s clean geometric profile and neutral charcoal grey tone is a physical and visual anchor in the room. The contemporary Oslo range of sofas feature large plush back cushions for support and a tough but soft material cover. 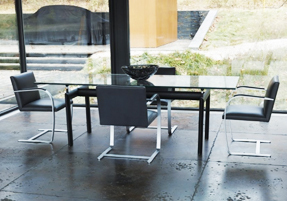 The chairs are supported by stainless steel legs for a sleek finish. The sofa comes in two pieces making it ideal for even the most compact homes. 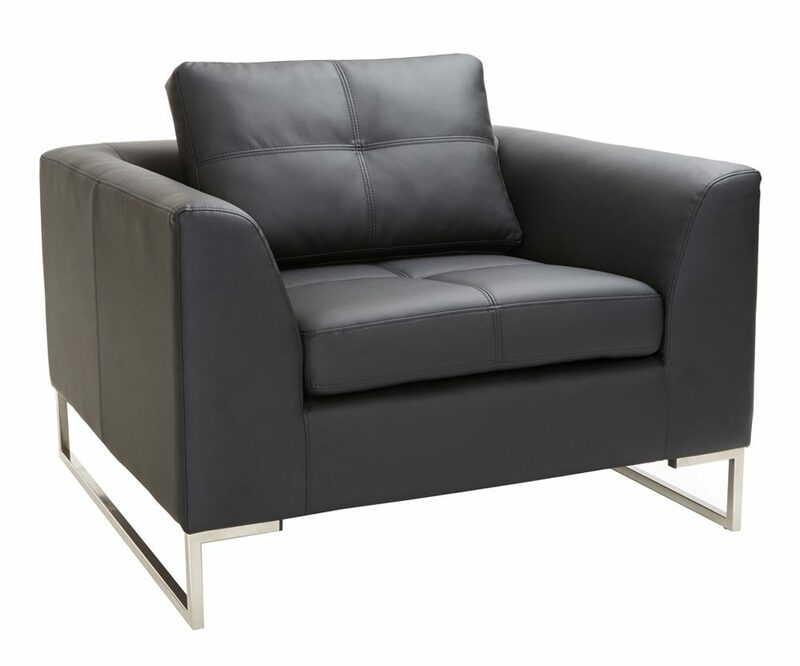 Available as corner (left hand or right hand), three and two seater and armchair in both faux leather and fabric options. 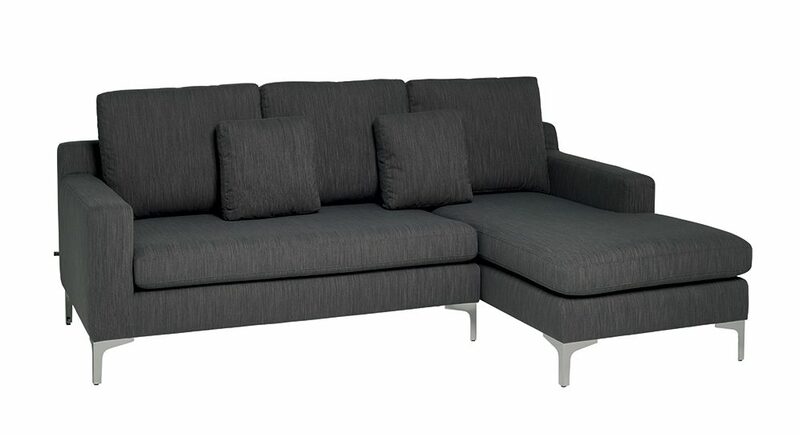 The option shown above is is the Oslo right hand corner sofa in graphite fabric, £1199 from dwell. Here in the UK we’re all longing for some signs of spring and the sight of the enchanted forest in Disney’s Maleficent (2014) or the magical oversized flowers in Alice in Wonderland (2010) is enough to put you in the mood. The Ashridge Estate woodland in Berkhamsted with it’s otherworldly trees, rare butterflies, songbirds and fungi was the real setting for the Enchanted Forest where Maleficent, (Angelina Jolie) lives. A time of renewal, Spring is the perfect time to bring some crisp new bed linen into the bedroom, so we can’t think of any better way to take inspiration from the magical outdoors of Maleficent or Alice in Wonderland than this duvet set. Just like Elle Fanning in Maleficent, you can sleep amongst the flowers! 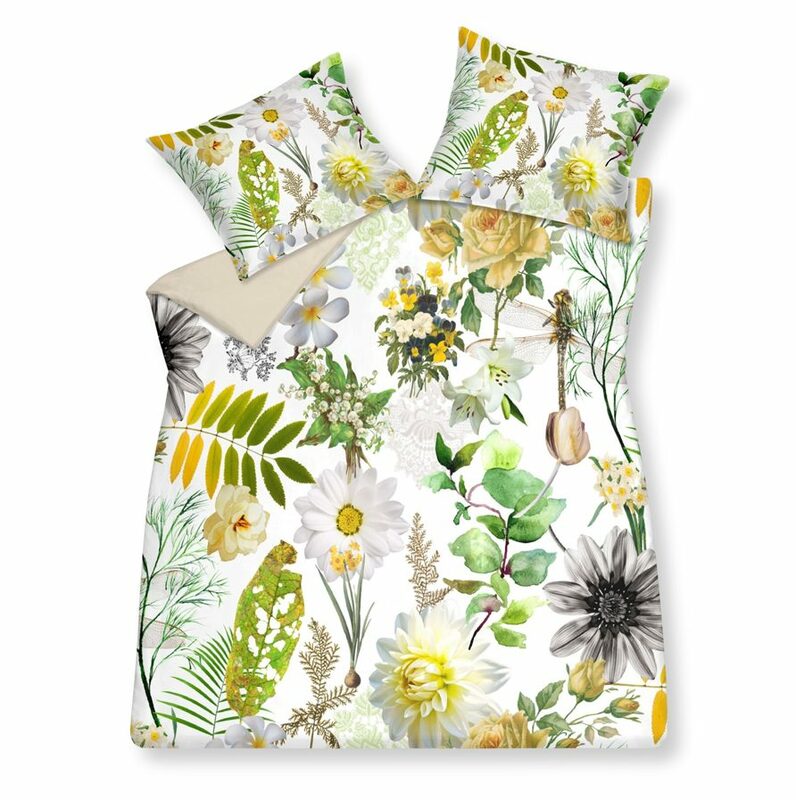 The colours of this spring design make this duvet perfect for brightening up the bedroom. Made from 100% cotton sateen with a 200/210 thread count this duvet set is soft and cosy. The set includes a duvet cover with button fastening and two pillowcases. 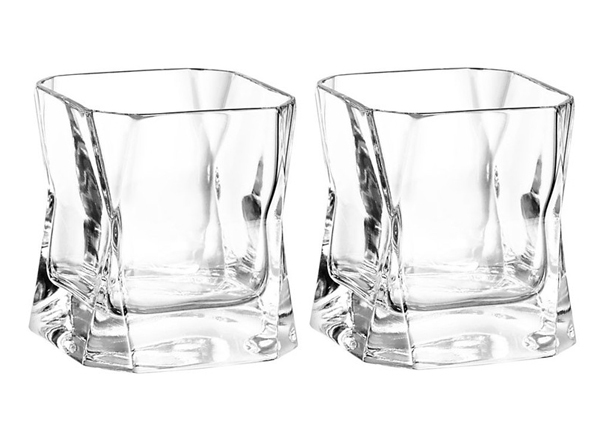 Reduced from £99 to £40 from dwell. From Duncan Jones’ Moon (2009) to Mars in The Martian (2015) and from Kubrick’s 2001: A Space Odyssey (1968) to the Space 1999 TV series (1975-1977) we love dystopian Sci-Fi films and movies set in space here at Film and Furniture, so we’re big on these fabulous clocks of the Moon and of Mars. 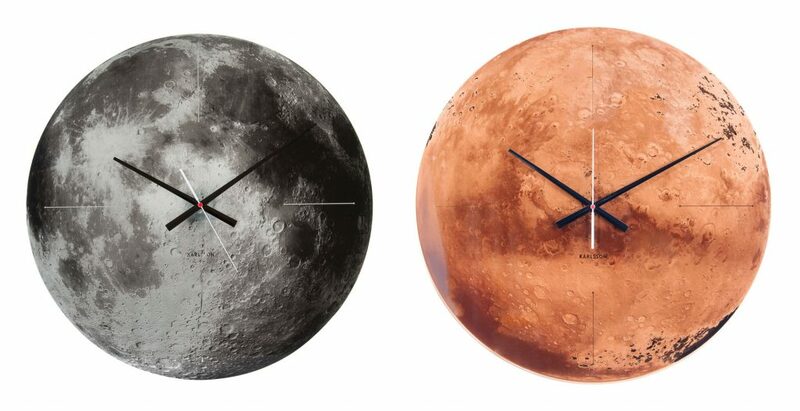 Each with a diameter of 60cm, gazing at the Moon and Mars will take on a whole new meaning with these wonderful large wall clocks. Moon clock £129 from dwell. 5. 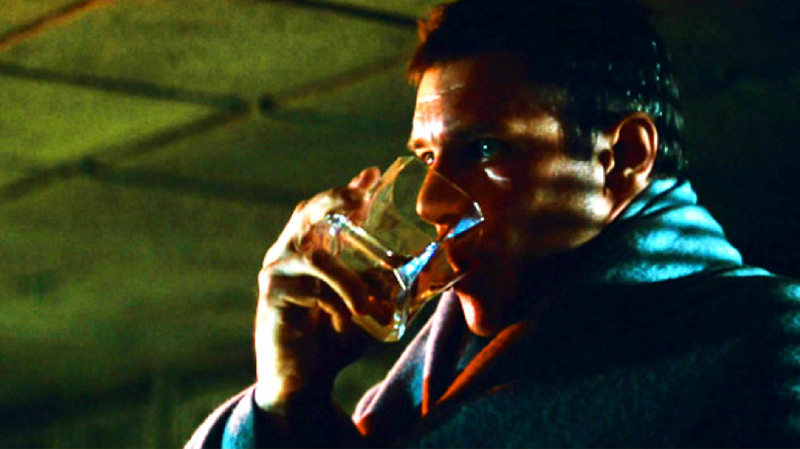 Blade Runner 2049 – Wallace’s low black armchairs. 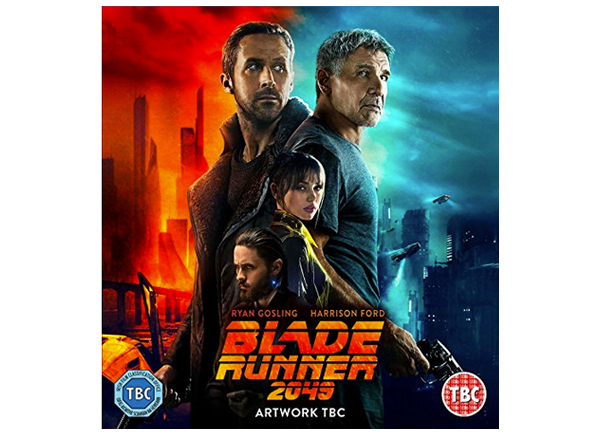 The highly anticipated follow up to Blade Runner (1982), Blade Runner 2049 (2017) did not disappoint. Niander Wallace (Jared Leto) has become the richest and most powerful man on Earth by taking over the Tyrell Corpotation in the creation of replicants. The Wallace Corporation building suitably conveys excellence, power, ambition and prosperity. 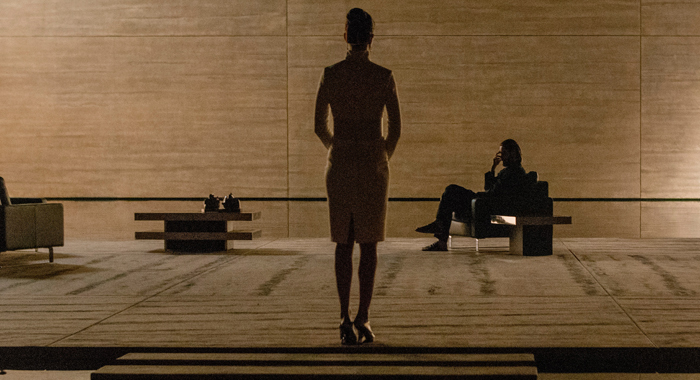 The cathedral-like space (lit masterfully by Roger Deakins) contains two low black armchairs which sit on a platform in the centre of a koi pond. The Vienna armchair will make a statement in any room it’s placed in. Finished in luxurious leather with stitch detailing on the padded seats for enhanced comfort and style. 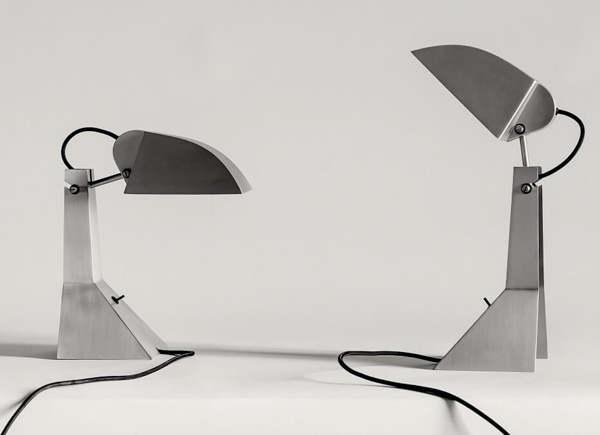 Currently reduced from £799 to £499 from dwell. 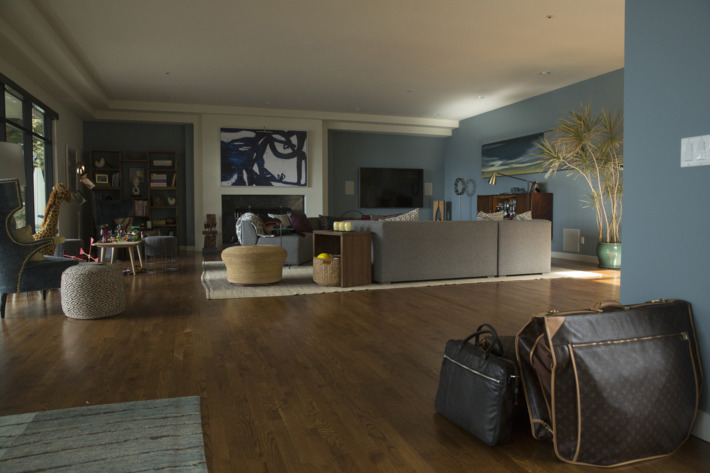 The multi award winning HBO TV series Big Little Lies may have been a big hit with a top notch cast including Nicole Kidman and Reese Witherspoon (with Meryl Streep joining for Season 2), but it’s the wealthy family homes of Monterey, California which caught our attention – and from which we can take interior design inspiration. 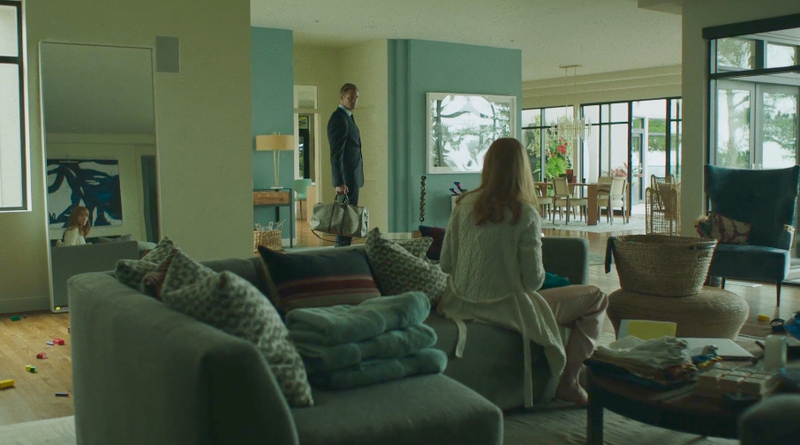 Celeste and Perry Wright’s house (Nicole Kidman and Alexander Skarsgård) is a modern, stylish open space with spectacular views of the rugged coastline. The main living room is a real location – a rental property worth $6m. 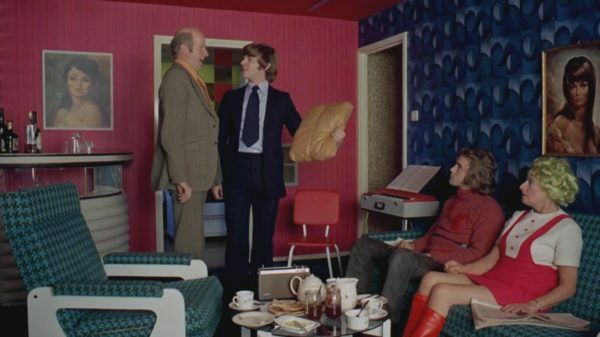 Production designer John Paino had the room repainted in a grey blue colour and this informed much of the furniture and film set decoration. The room features grey block sofas, wooden side tables, a high back grey blue chair and this key colour palette of turquoise, azure, blue and grey echoes the coastline beyond the windows. 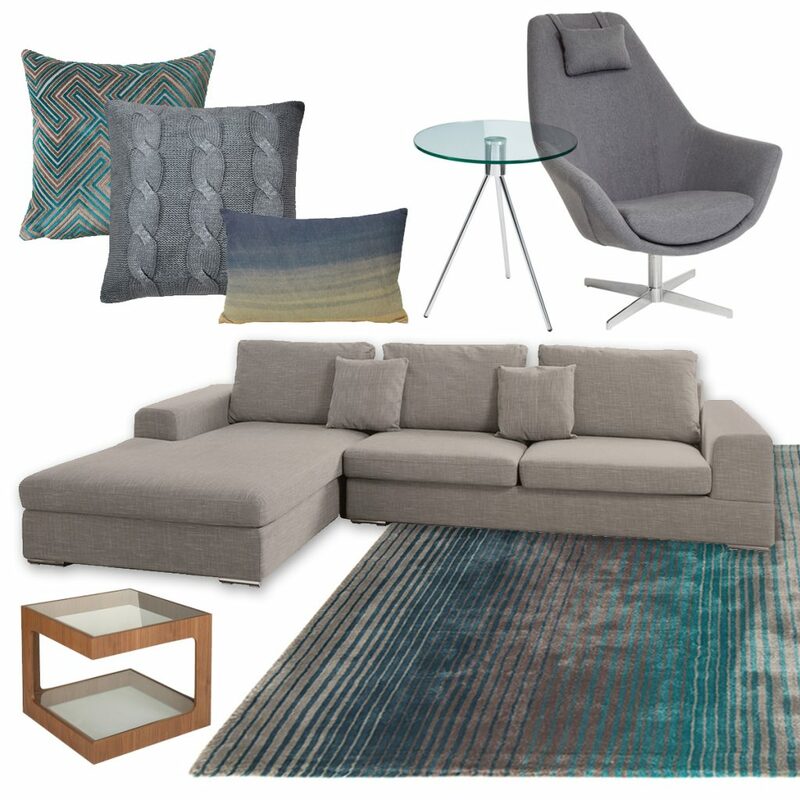 Clockwise from top left: Oblique cushion in turquoise £59, Cable knit cushion in silver grey £39, Cushion (currently out of stock), Tripod glass side table in glass and chrome reduced from £129 to £64, Pivot Armchair £299, Verona corner unit sofa £1799, Stripe contrast large rug £349, Modular side table in walnut and glass £199. One of dwell’s most luxurious designer sofas, the Verona (shown above, middle) has wide arms and the huge chaise section means there is plenty of room to lounge. 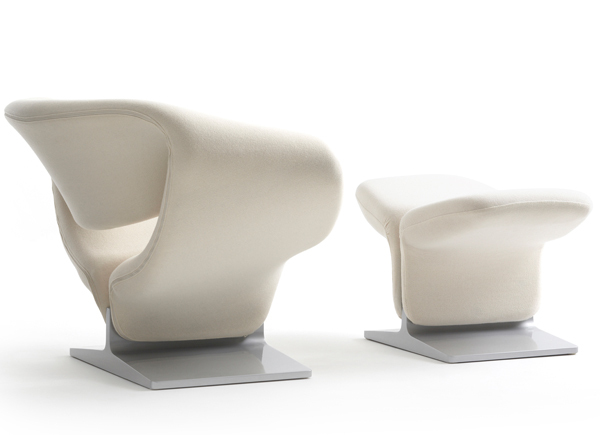 Available in two colours that complement its tubular chrome legs, the Verona is a fusion of simple style and function. The seat, backs and loose cushion covers of this sofa are removable. Available as a left hand and right hand corner unit, £1799. Complete the look with a section of dwell cushions in grey, blues and turquoises (shown above from £39-59), a Tripod Side Table in glass and chrome (currently reduced from £129 to £65), the Pivot Armchair (currently reduced from £499 to £200 and also available in tan, black, stone and cream), the Stripe Contrast rug (£349, 160cm x 230cm) and a Modular Side Table in walnut and glass (£199). 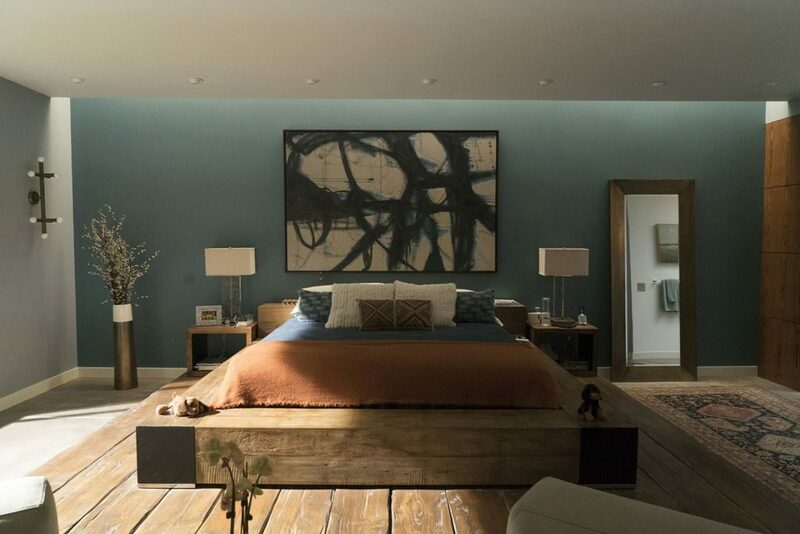 Celeste and Perry’s bedroom in Big Little Lies features a stunning, oversized wooden platform bed, wooden side tables, walnut wooden wardrobes and a statement abstract picture. Get the look with a Kingsley bed, wall art, wardrobes and side tables – all curated by us from dwell. Clockwise from top left: Daze abstract wall art in blue or red £140, Malone wardrobe with sliding mirror door in walnut £899, Square stacking side tables, walnut £199 for a pair, Kingsley bed with storage walnut frame £995. In the shadow of a stunning statement headboard, with button details and a contrasting walnut frame, the sumptuous Kingsley storage bed is a little piece of extravagance that will make your sleeping pattern all the more stylish. The base of the bed easily lifts to provide ample storage for extra bedding and clothes. 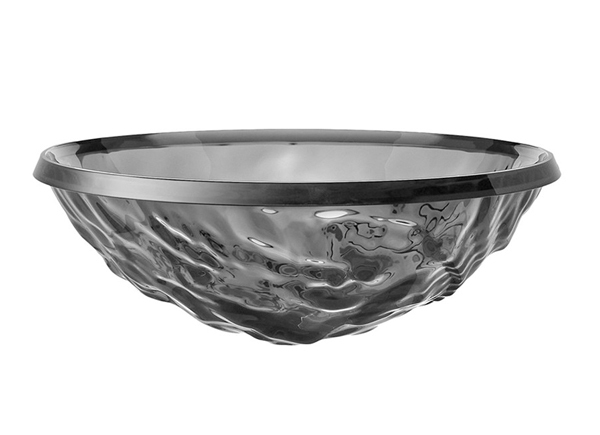 Available in a number of finishes, it will be a statement centrepiece in any bedroom – £995 from dwell. 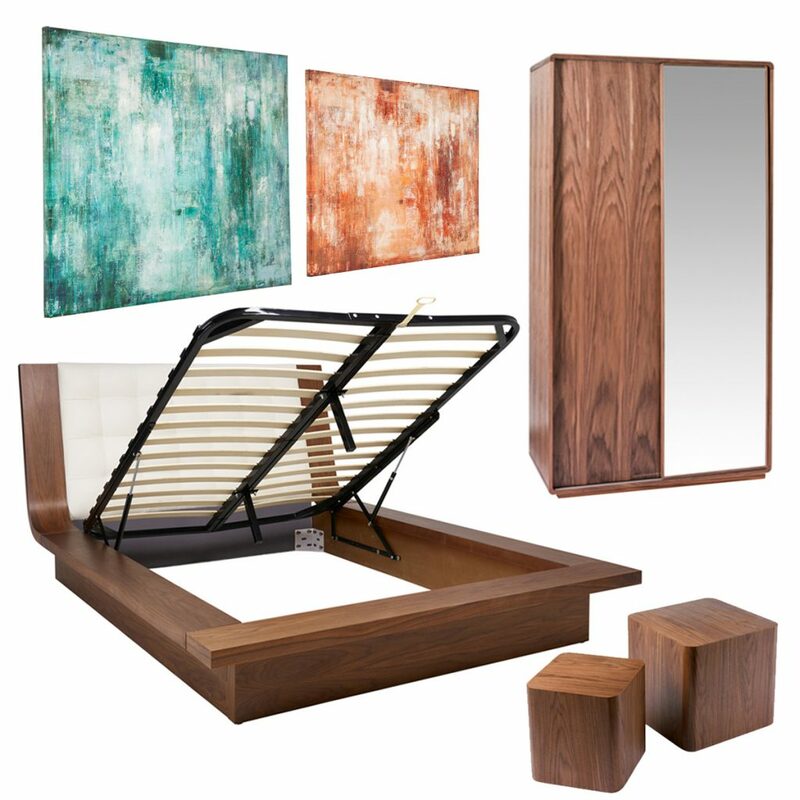 Complete the look with Daze abstract wall art in blue or red (£140, 120cm x 90cm), a Malone wardrobe with sliding mirror door in walnut (£899) and some square stacking side tables in walnut and veneer (£199 for a pair). 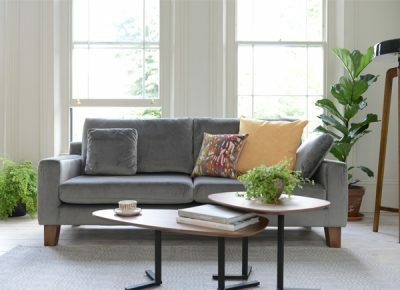 More about dwell: With 36 stores around the UK and a straight forward no frills website, dwell was founded to create great furniture design that doesn’t cost a fortune and to make the experience of updating your home as easy as possible. 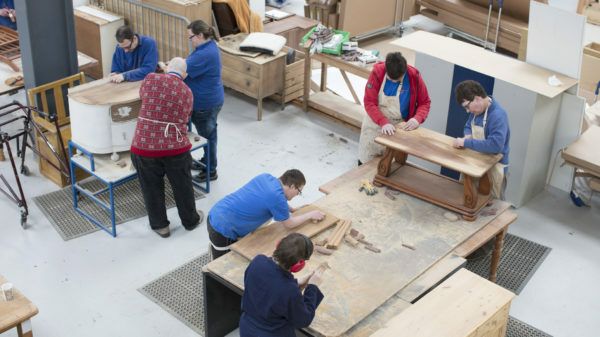 They carry most of the range in stock so you don’t have to wait ages whether it is for a sofa or a bed. This feature is sponsored content and you know us well enough by now! We wouldn’t write about pieces unless we genuinely like them and which we feel would be of interest to film and furniture lovers. With 36 stores around the UK and a straight forward no frills website, dwell was founded to create great furniture design that doesn’t cost a fortune and to make the experience of updating your home as easy as possible. 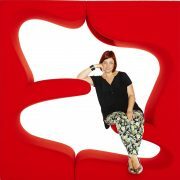 They carry most of the range in stock so you don’t have to wait ages whether it is for a sofa or a bed. We took a well overdue look around London’s Tottenham Court Road store recently and were struck by how many of their stylish, cost effective furniture reminded us of pieces from some of our favourite film and TV sets.